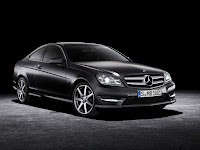 The new MY2012 Mercedes-Benz C-Class Coupe will debut at the Geneva Motor Show on March 1 and make its way to U.S. showrooms in September. 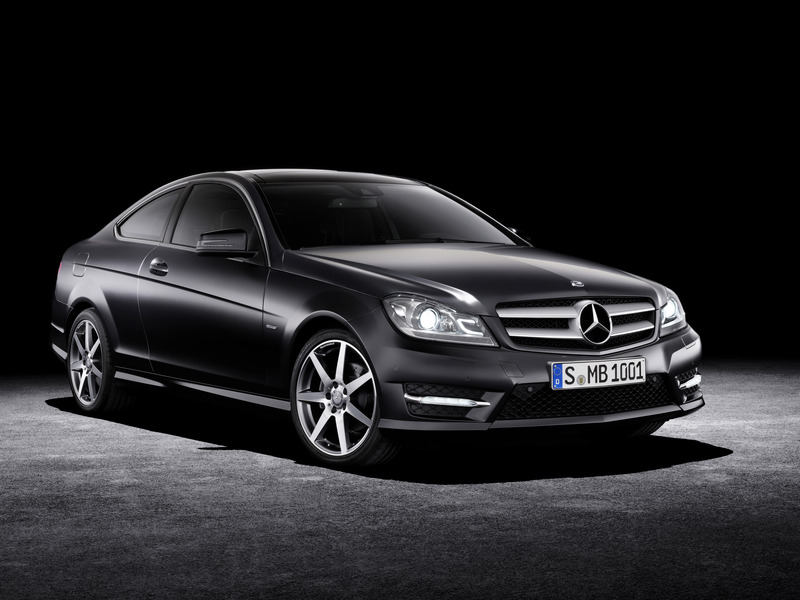 The 302-hp C350 and 201-hp C250 include the progressive technology featured on the upcoming MY2012 C-Class sedan, but packaged in a coupe design that combines pure driving fun with exemplary efficiency. 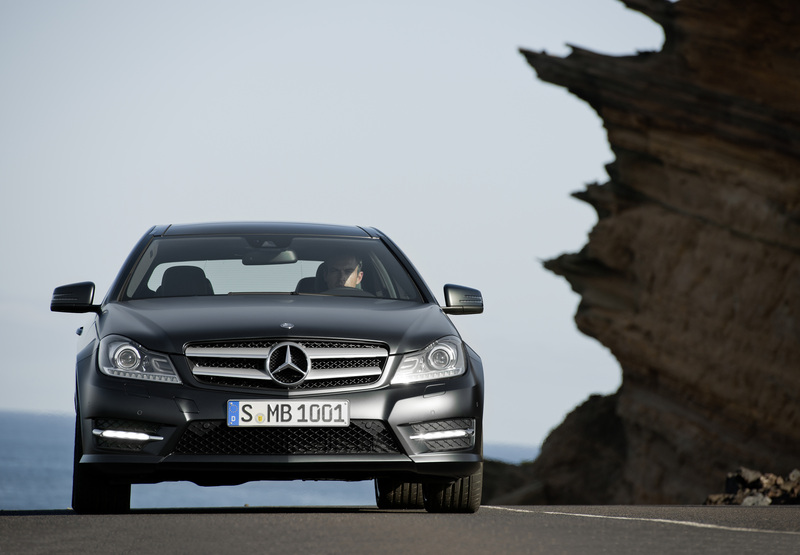 "By extending the C-Class portfolio, we are consciously targeting new customers," says Dr. Joachim Schmidt, Head of Sales and Marketing at Mercedes-Benz Cars. "The new model is youthful, stylish and expressive. 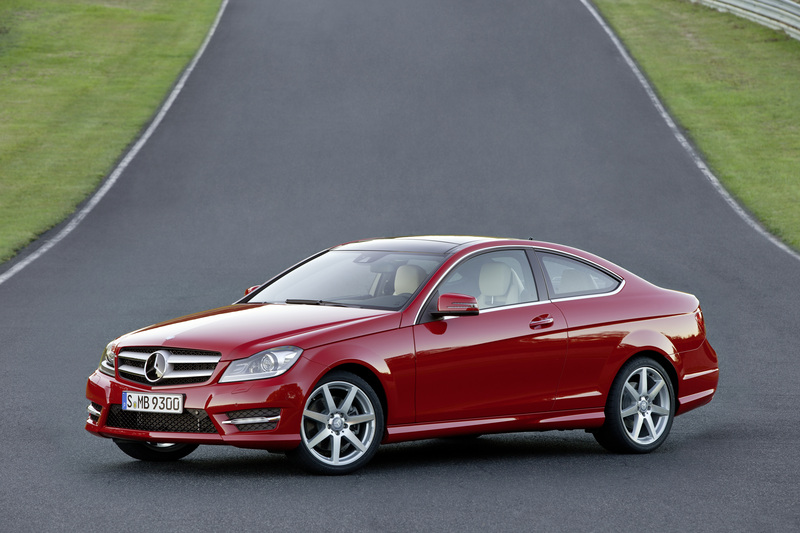 What we are offering is an exceptionally sporty way to enter the world of the Mercedes-Benz coupe." 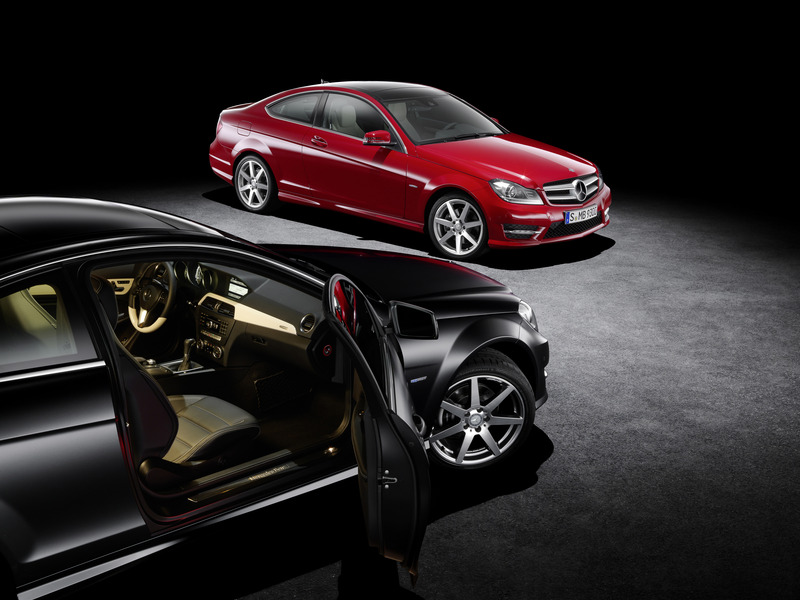 From the side, the new coupe captivates the onlooker with its compact proportions, low silhouette (1.5 inches flatter than the sedan) with powerful shoulders and a narrow C-pillar in a classic three-box design. 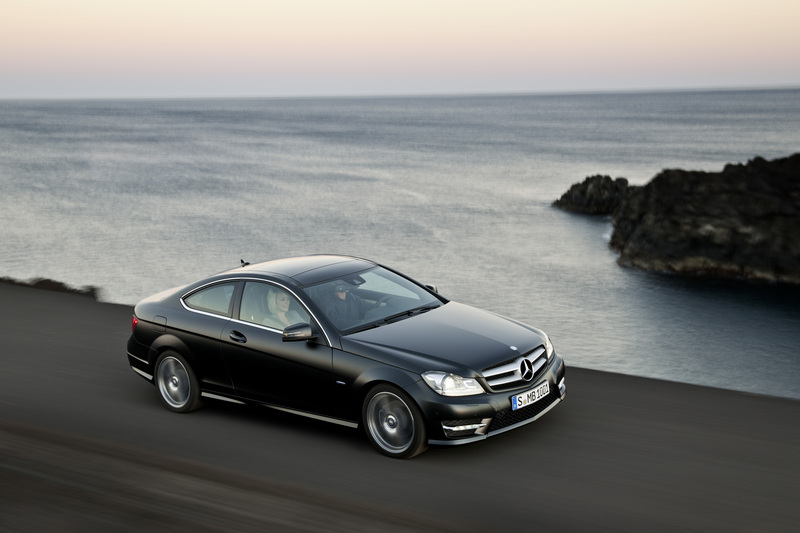 Typical coupe features include the short front overhang, long hood, steeply raked windshield and long, sloping roof. The greenhouse extends far beyond the rear axle to an aggressive short rear end. 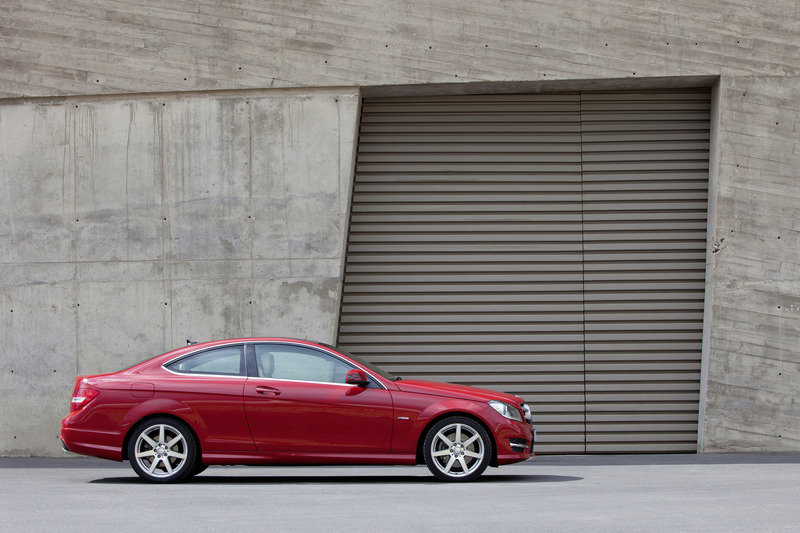 While the wedge-shaped, sloping beltline provides a link to the C-Class sedan, its strong upsweep into the C-pillar is an entirely distinctive element. This part of the beltline trim moves sharply upwards to meet the roofline trim and not only adds an aggressive touch to the side windows but also enhances the powerful shoulders. 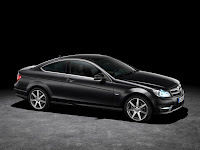 At the front, the new coupe shares the same styling as the latest C-Class sedan and yet still has its own personality. 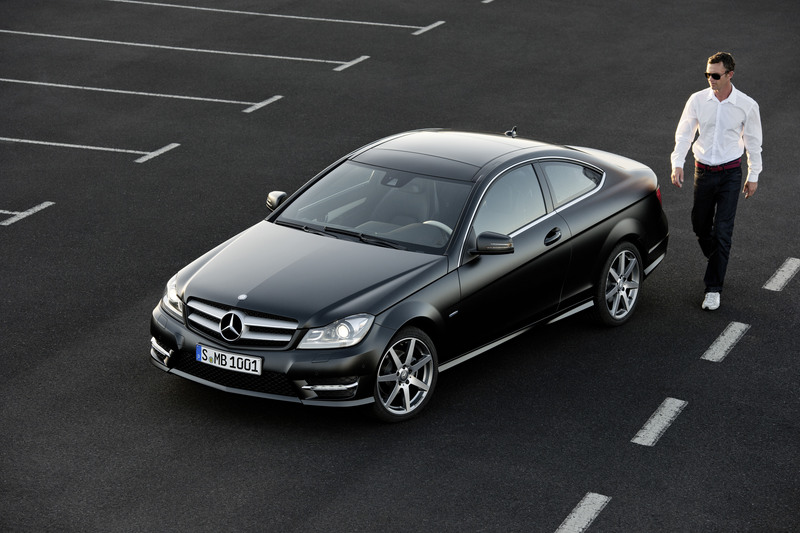 The front view is dominated by the prominent radiator grille surround including the bumper. The center air intake opens upwards, forming a visual base for the radiator grille, which has the double-louvre style typical of a coupe. Two chrome louvers extend on either side of the central star, tapering off at the outer edges and creating an aggressive, arrow-shaped horizontal sweep which gives the front end a pronounced V-shape. 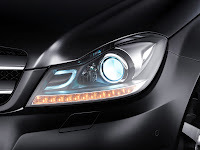 This continues into the side sections which extend from beneath the headlamps and blend into the feature lines along the vehicle's length, thereby linking the front end with the sides. 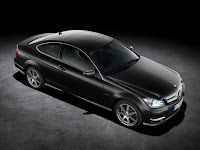 The side air intakes in the bumper featuring integrated horizontal daytime running lamps are positioned low, giving the coupe a road-hugging appearance. 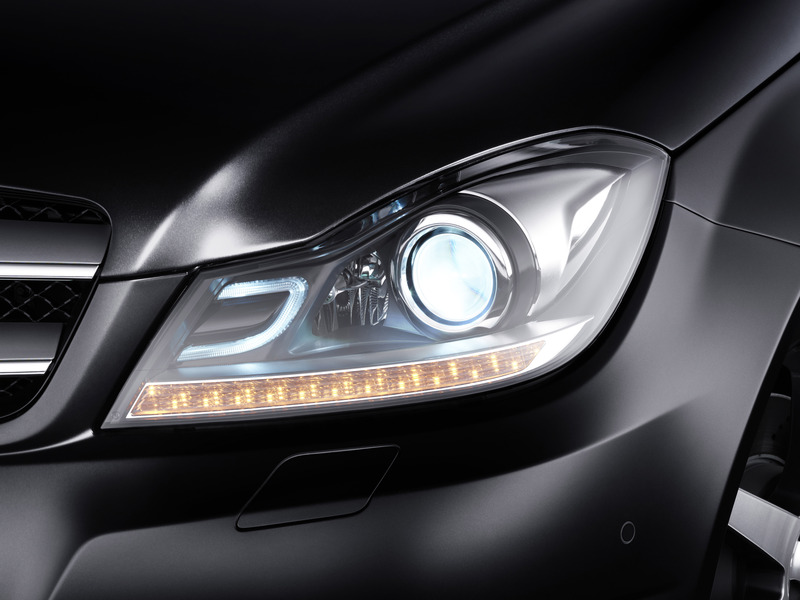 The shape of the clear-lens headlamps creates a dramatic impression, and acts together with the hood, radiator grille and bumper trim to reinforce the pronounced front section. 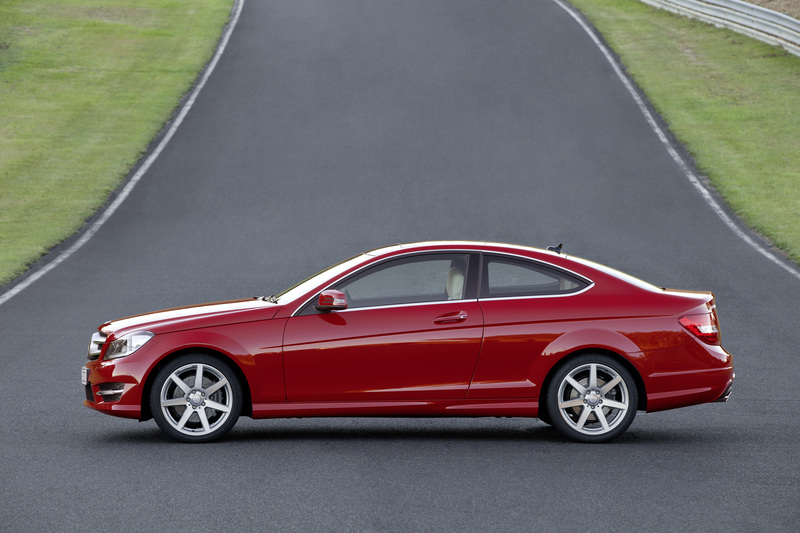 From the rear, the new C-Class Coupe looks athletically compact. 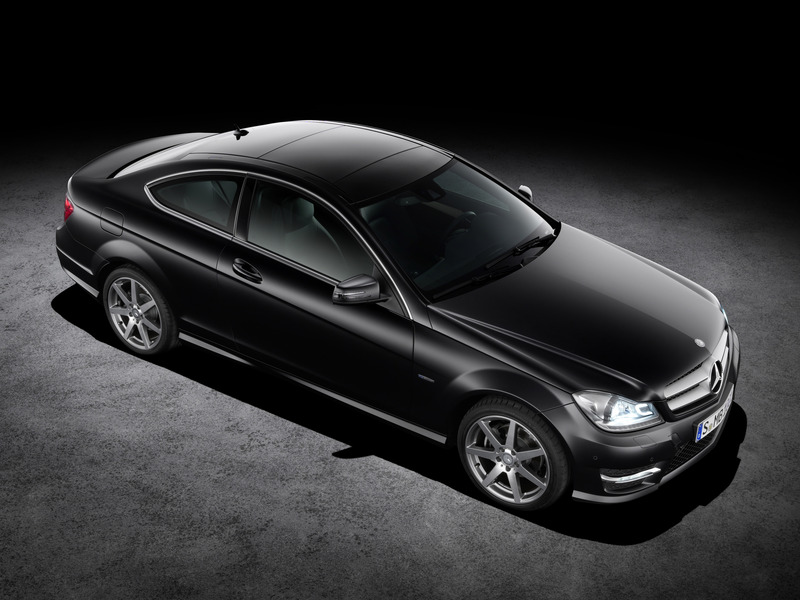 The appearance of length is reduced by the flowing roof beyond the rear axle, steeply raked rear window and fluid C-pillars. 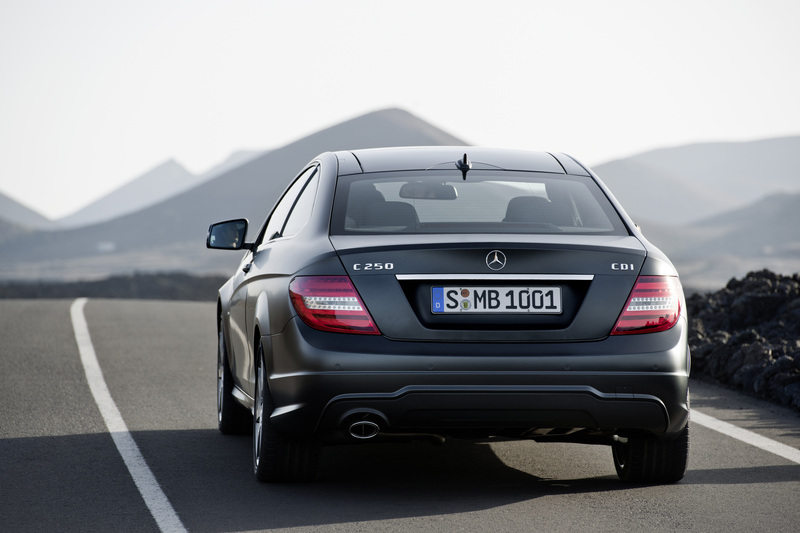 A wide groove at the top of the trunk lid, which is based on the side panel, emphasizes the rear's compactness. Positioning the tail lights as far apart as possible emphasizes width. This particular impression of depth is achieved by a centrally located LED indicator, which appears to float in front of the red upper and lower lights with their more deeply set LEDs. 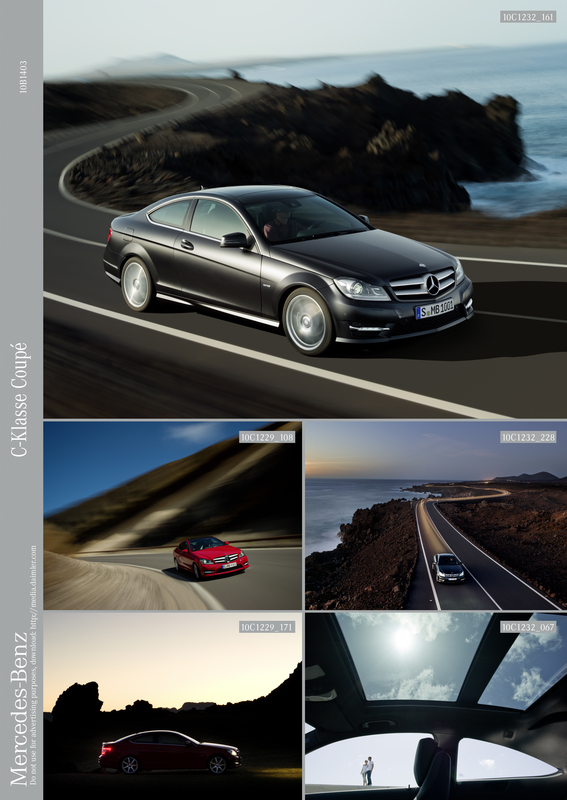 Continuous, horizontal light-catching contours in the bumper further accentuate the broad, deep-set effect. A diffuser towards the bottom of the rear bumper between the tailpipe trim makes the rear end look lighter and gives the vehicle a distinctively sporty and dramatic quality. The instrument panel features three tube rings with a metallic finish, the new three-spoke steering wheel features a flat bottom and comes standard with shift paddles. The surfaces of the controls are finely detailed and metallic. The stepped top of the dashboard also accommodates the standard 5.8-inch central display and continues onto the front passenger side as a discreet light-catching contour. 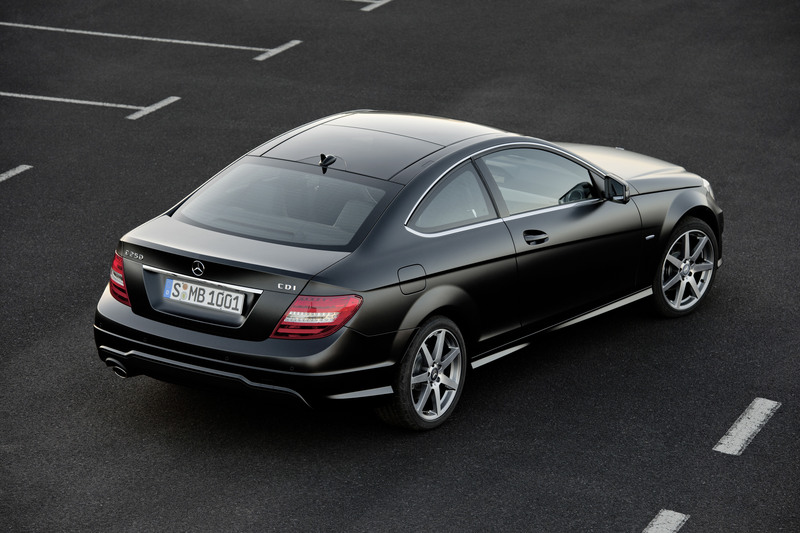 The central, trapezoidal air vents and the round vents on the outside are highlighted in detail by metallic trim. The control panel of the new center stack has silver-colored keys, while the combination of matte keys, high-gloss areas and a new controller knob design underline the high quality of the interior. 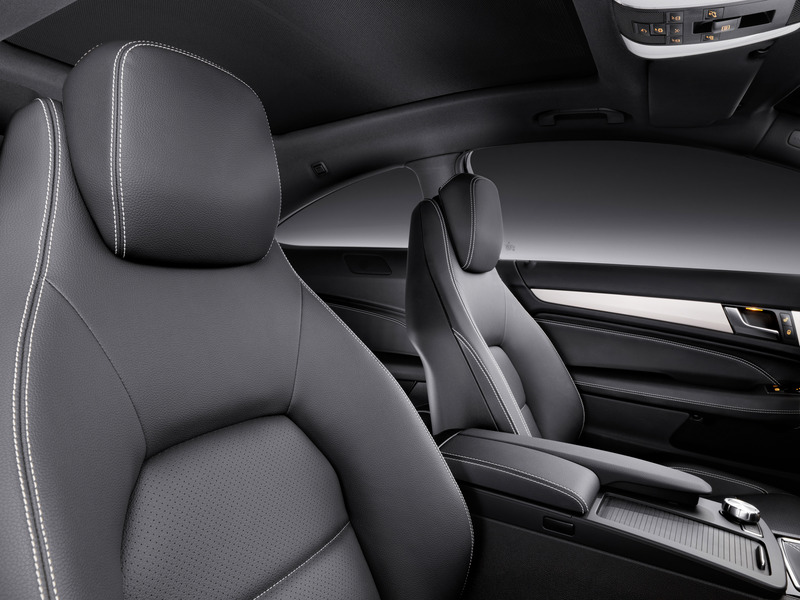 A large section of trim highlights the dashboard, extending from the center air vents across the front passenger side to the outer air vent, emphasizing the interior's generous proportions. 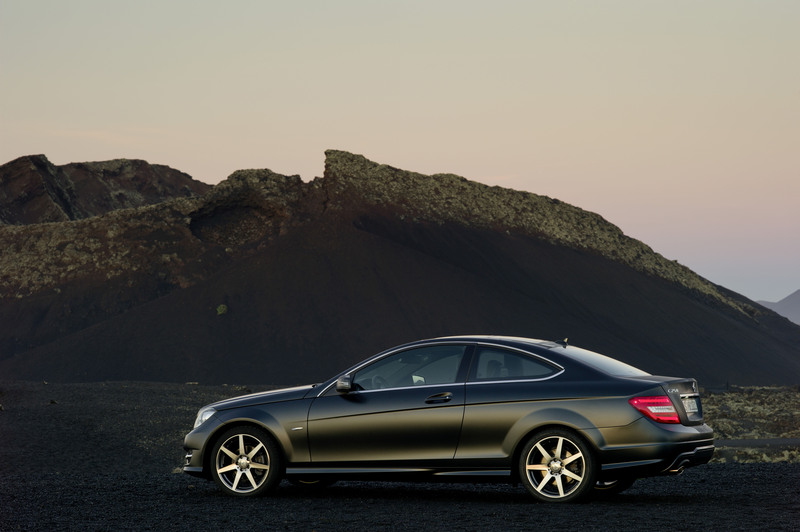 Aluminum trim is standard on the C250 Coupe, while the C350 Coupe features rich Burl Walnut. Unique Ash Olive Matte Wood Trim is optionally available. 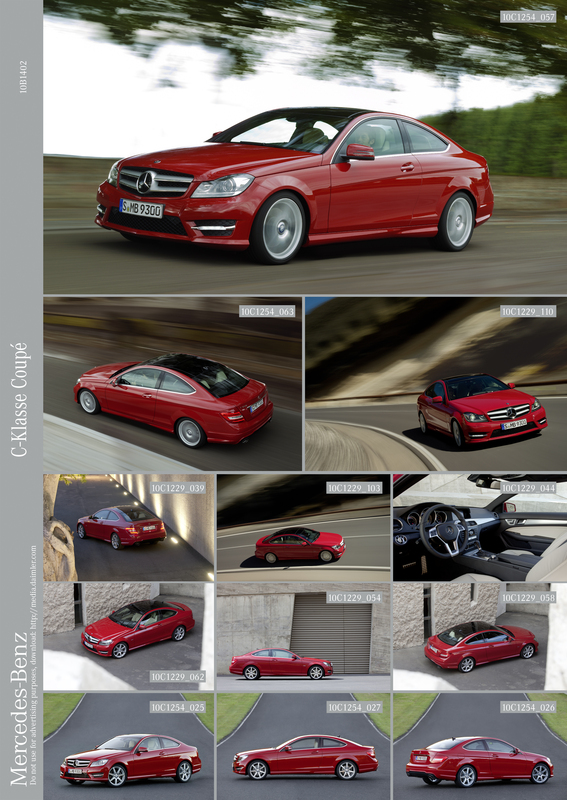 The C-Class Coupe is a fully fledged four-seater featuring four sporty, comfortable seats with integrated headrests. 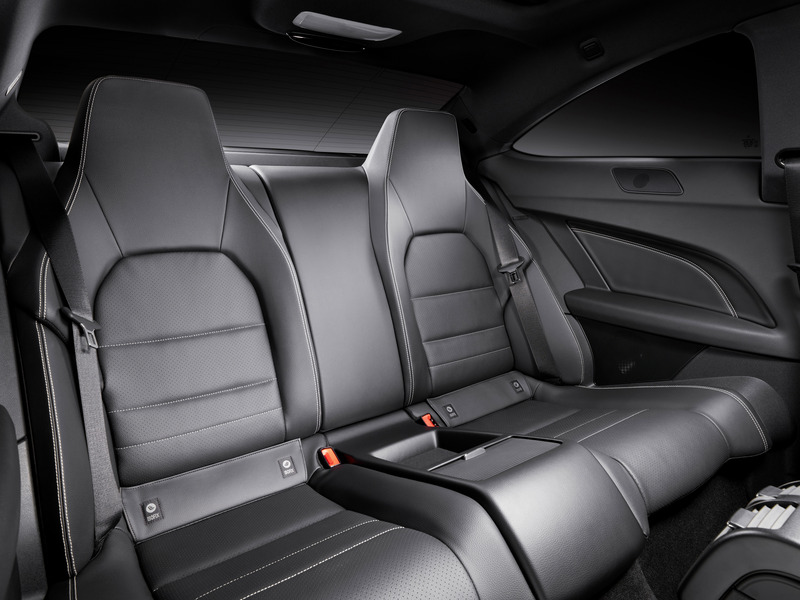 If desired, the backrests in the rear can be folded to extend the storage area. The C-Class Coupe features the new telematics generation. Major new features include greater operating convenience, larger displays, phone book transfer, wireless Bluetooth audio streaming and a USB interface now located in the center armrest. 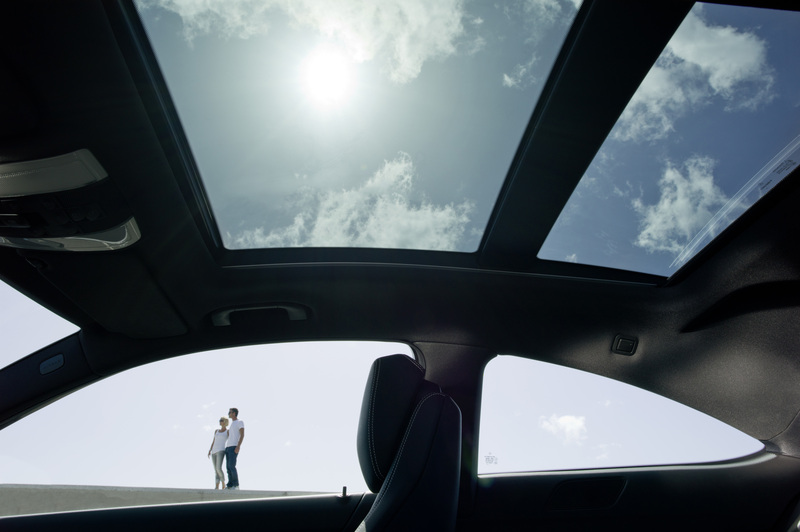 Integrated services include SIRIUS weather information and a special destination search via Google, as well as the option of downloading a route that has been previously configured on a PC using Google Maps and sent to the car. 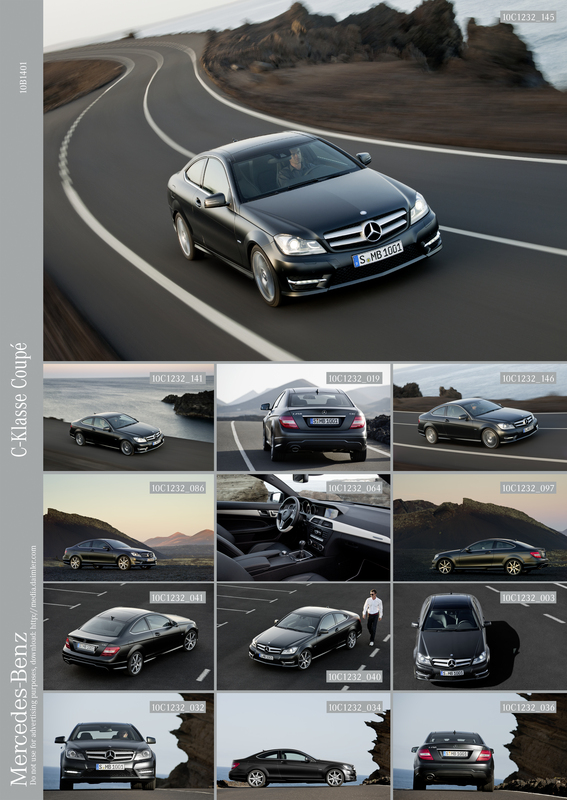 The optional COMAND navigation system also has a new 3D display with city views. Driving routes covered can now be recorded and recalled later, specific personal destinations can be saved or imported via an SD card and four alternative routes can be displayed on the navigation map including an especially economical route. 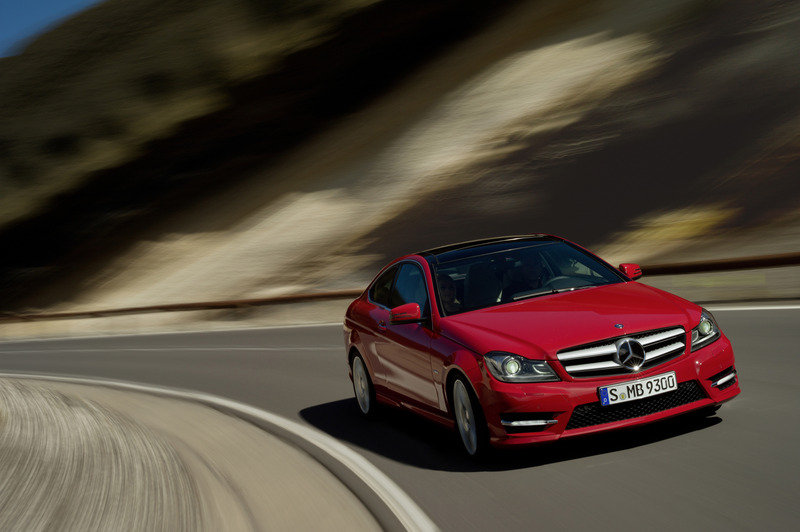 There is a choice of two new direct-injection gasoline engines to power the C-Class Coupe and both models are equipped with a more fuel efficient 7-speed automatic transmission. 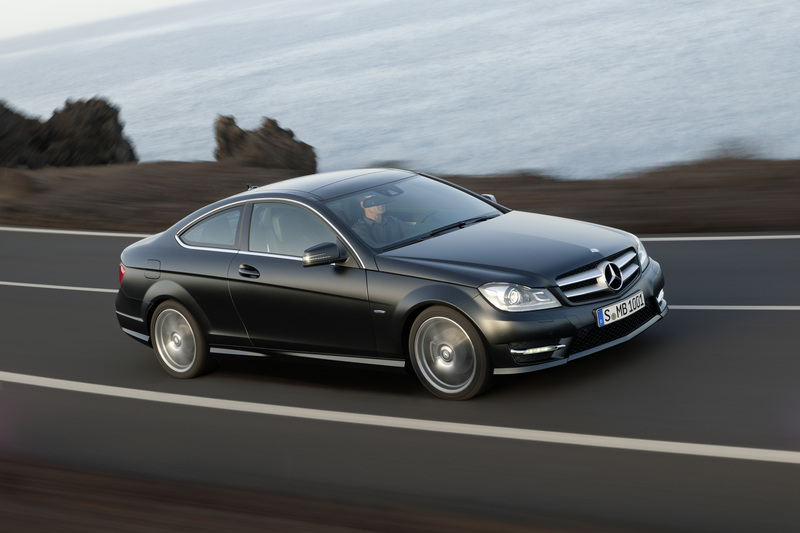 The V6 gasoline engine in the C350 features the efficient BlueDIRECT injection and delivers 302 hp and 273 lb-ft of torque. 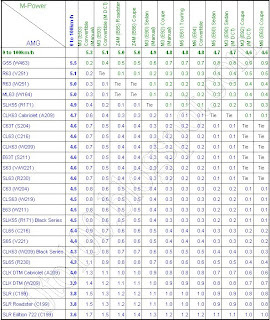 Average combined fuel consumption is 22 mpg (estimated). 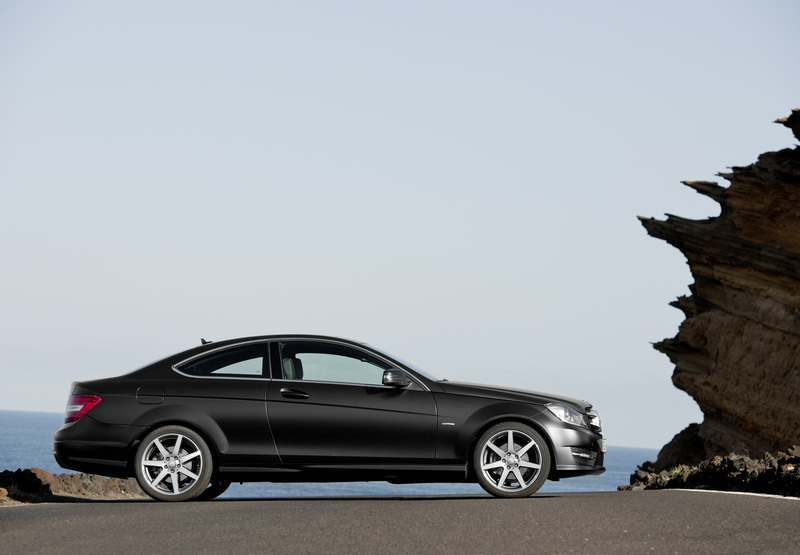 The four-cylinder gasoline engine in the C250 also features direct injection and is turbocharged, offering high performance and exemplary economy. 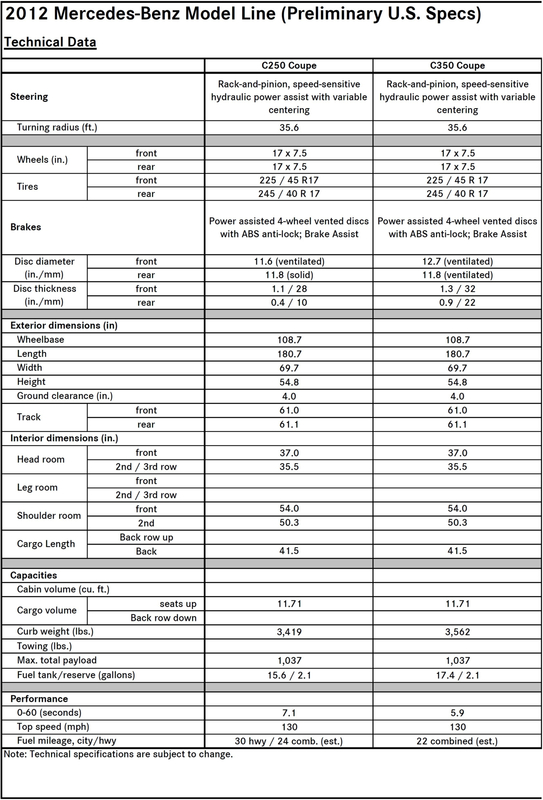 * Please note, estimated figures. 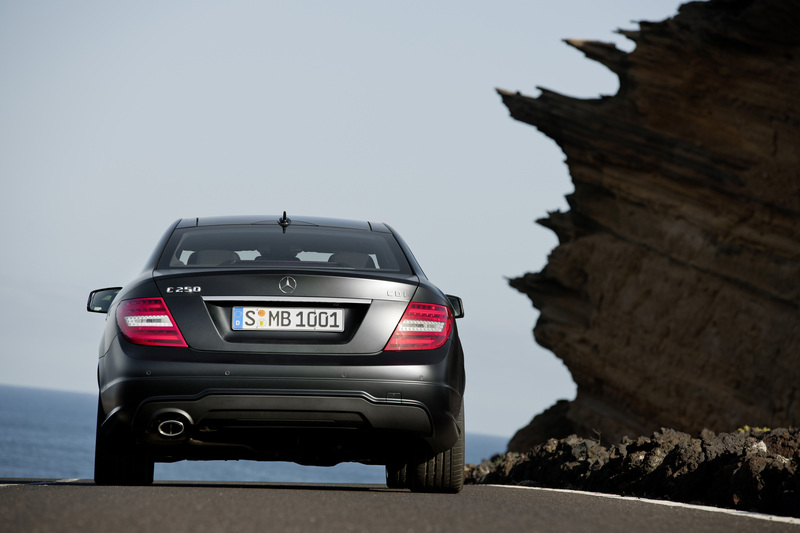 The standard AGILITY CONTROL suspension complements the dynamic engines to perfection. 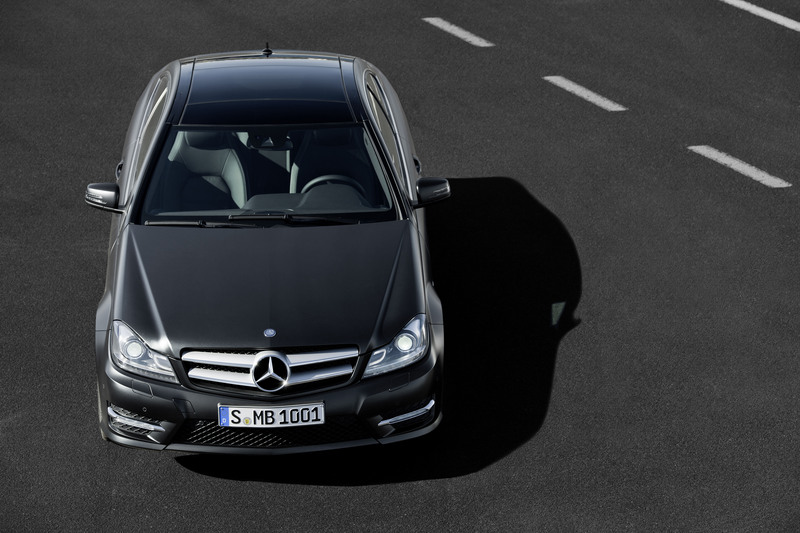 This is based on an amplitude-dependent damping system: when driving normally with low shock absorber impulses, the damping forces are automatically reduced for a noticeable improvement in road noise and tire vibration - but without any compromise in handling safety. 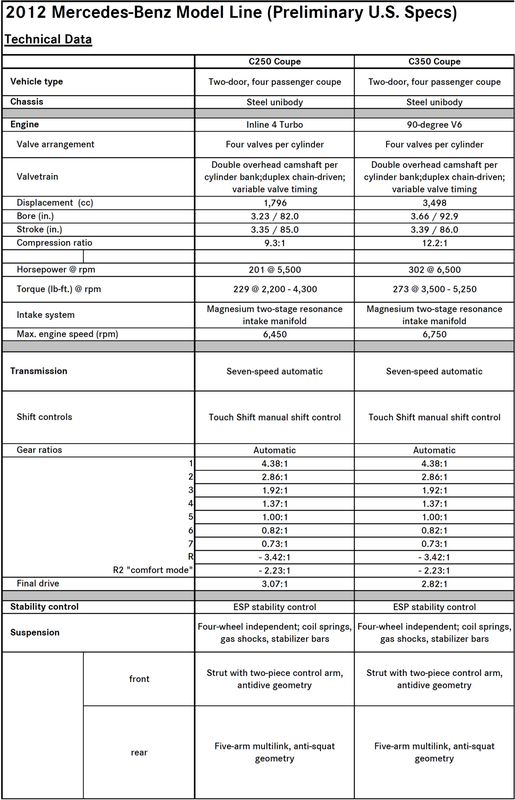 When shock absorber impulses increase, for example when cornering at speed or performing evasive maneuvers, the maximum damping forces are set and the car is effectively stabilized. 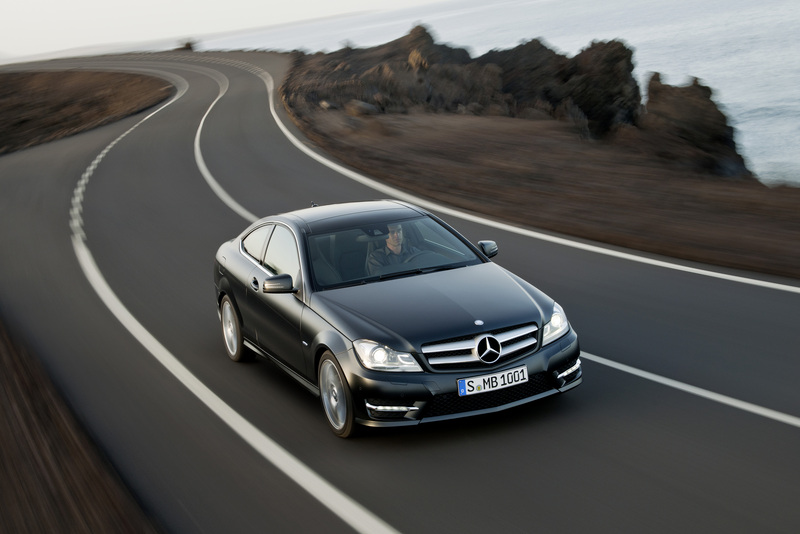 The AGILITY CONTROL suspension is complemented by a rack-and-pinion steering system. The front axle has a three-link construction with McPherson spring struts. The lower control arm consists of two separate elements which serve as torque and cross struts and are both made of aluminum. The third link in the front suspension is the tie rod which connects the transverse steering gear to the wheels. The reinforced anti-roll bar is connected to the spring strut which is likewise actively involved in directing the front wheels. With multi-link independent rear suspension, the wheel is attached to five flexibly mounted, independently acting control arms which restrict five of the available spatial movements: thanks to this intelligent control arm construction each rear wheel basically retains freedom of movement in one plane only, namely during controlled compression and rebound. 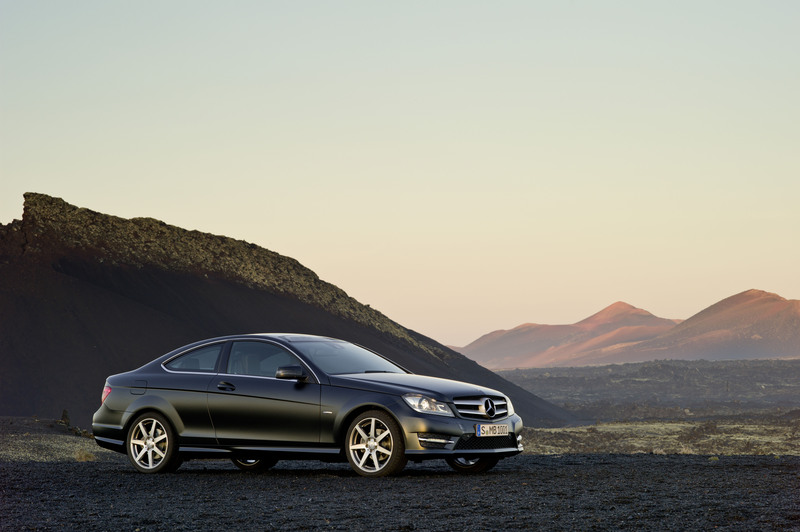 With nine airbags as standard, belt tensioners and belt-force limiters for all seats, the C-Class Coupe has extensive safety features. 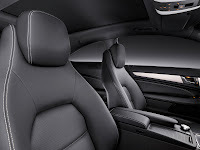 The airbags, which can deploy in milliseconds in the event of an accident, include front, side and pelvic airbags for the driver and front passenger, a kneebag on the driver's side, and headbags. The side protection system - comprising headbag and thoraxbag - optimizes the level of protection afforded to individual parts of the body. 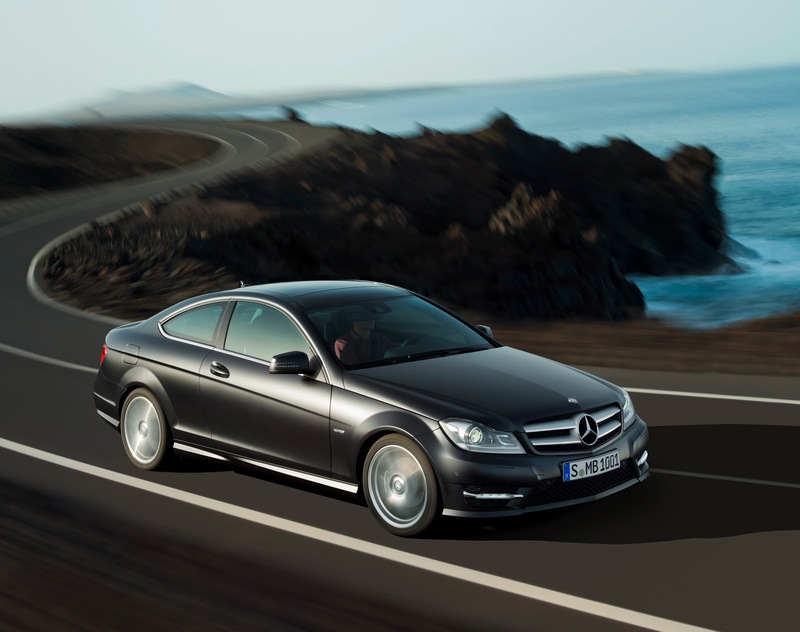 With a number of driving assistance systems ranging from standard ATTENTION ASSIST drowsiness detection to optional Lane Keeping Assist, the coupe provides a comprehensive level of driver support and protection. The assistance systems are based on the latest radar, camera and sensor technology, and cover frequent accident causes such as distraction, fatigue and darkness.